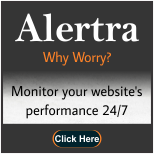 With the increased popularity of the website monitoring services there is an increased number of companies which are offering website monitoring services. In order to find a reliable company which offers best services here is a check list to verify the things which are essential for getting better services from the companies. First, ask for the testing frequency. 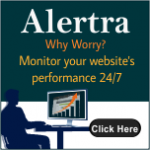 That is at what intervals the company is going to test the website performance. Depending on the different packages offered by them you can choose one which you find it to be worthy. For example, 12 tests per hour is a package, which performs testing for 12 times. Apart from the regular up time and downtime checking, it is also important to make sure that the company is providing content monitoring services. It needs to read your server response and to analyze it for errors and time outs. Full page monitoring is also important thing to look for since many companies will only scan and monitor HTML code. Apart from HTML, your site has graphics, applets, forms, controls, scripts, and many more and hence anything may go wrong at any point of time. Full page monitoring includes all these things and hence it is beneficial to look for the company which offers this service. It is always better to choose a company which not only detects the problems but also funds where exactly it is and how it happened. This kind of analysis helps you in solving the problem with more speed and ease. The service needs to check for the content and the words which are set up by the company, in order to make sure that they are not changed. These are few things to look for in a website monitoring service in order to ensure reliable and trust worthy service.